"I don't know if you heard, but an AED from a police cruiser was used to save a 70-year-old man's life last week. Thank you for helping to kick off this program. "The CHS courtyard and Riverview walk also are great. Much thanks to you and Ryan's Fund." 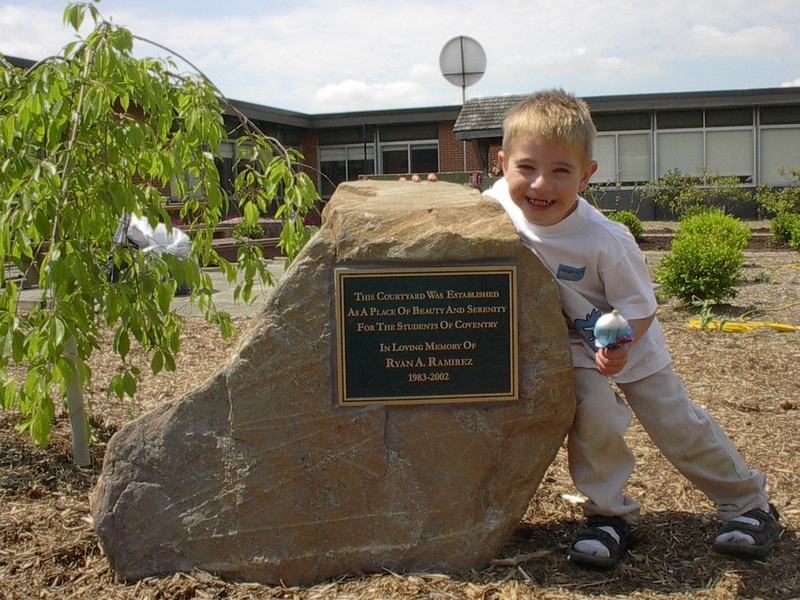 The courtyard renovation project at Coventry High School took over a year to complete, and required incredible commitment and community support. 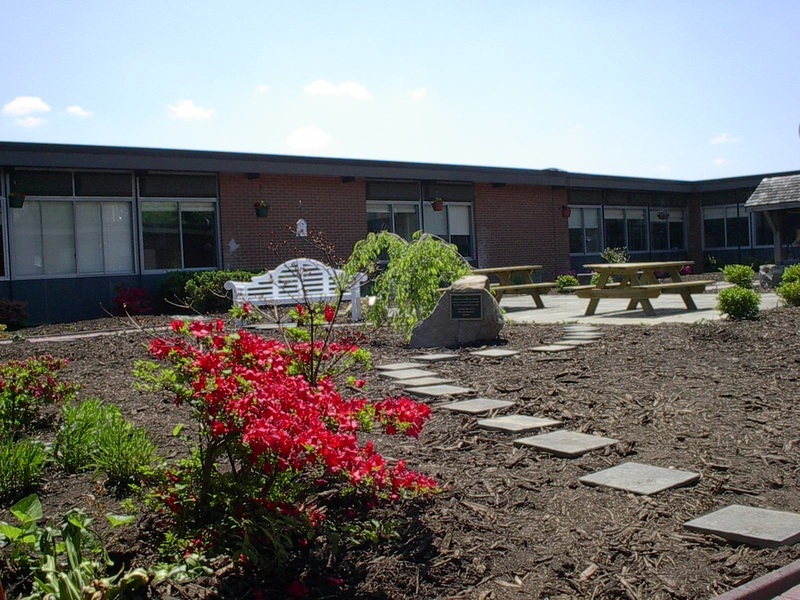 The courtyard is now a beautiful, tranquil place that students can use and enjoy. 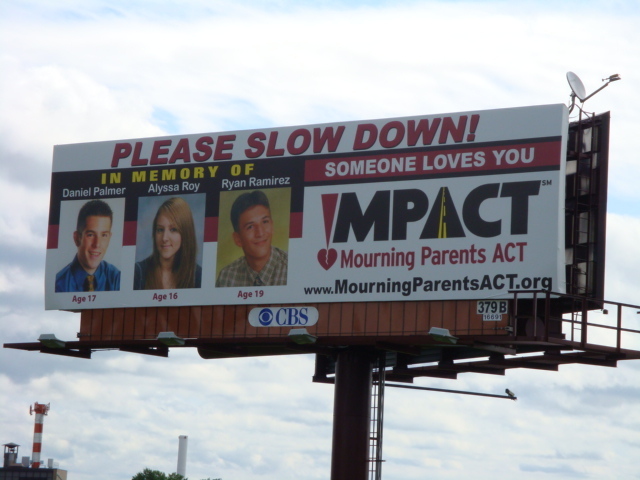 Ryan's Fund purchased a billboard promoting safe driving that is displayed on highways in Connecticut and now Massachusetts. Ryan's Fund made a kick-off donation to Booth & Dimock Memorial Library for the purchase of some leading-edge technology for patrons. The Playaways systems are the new generation of books on tape. They are compact, self contained digital audio players, similar to MP3s. Former Library Director, Sharon Pacholski says, "The staff and the patrons of the Booth & Dimock Memorial Library are excited about the latest technology in audiobooks, Playaways. No special equipment or software is needed, just a battery and earphones. Each book comes on its own player. We would like to thank Ryan's Fund for the generous contribution to launch our new digital audio collection." Ryan's Fund also donated portable DVD players for patron's use. 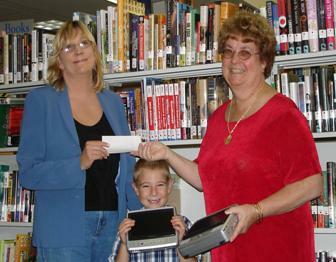 Sherry Chapman with former Library Director, Sharon Pacholski and Kalum McIntosh in the center. 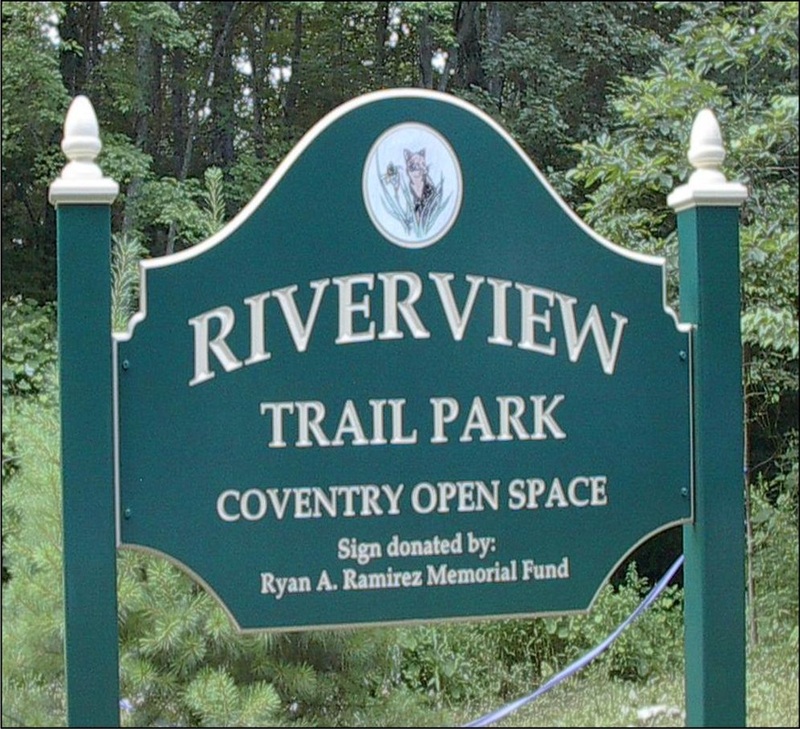 Ryan's Fund donated signage that marks the recently-established Riverview Trail Park in Coventry. Volunteers cleared a walking trail along the beautiful riverbank, which is dotted with park benches built by a local scout. This is a new area residents can now enjoy. See photo below!